I've always been fickle when it comes to fragrance. I was a Vera Wang Princess girl in my teens, preferred Vivienne Westwood Naughty Alice at University and now I buy Jean Paul Gaultier Classique and it's always on my Christmas present list. I wear perfume everyday, even a little spritz if I'm not leaving the house but I had never put much thought into why we wear and love fragrance so much. I guess fragrances are a way that we can show off our individuality and personality and our love for wearing fragrances all comes down to the fact that they make us feel happy. There are certain fragrances I hate, not because of the smell itself - but because of an unpleasant association. It can bring back a memory, or a person from the past who used to wear that certain fragrance. I love Jean Paul Gaultier Le Male because that's what my partner wears and I notice the smell lingering on fabrics when he's not around. 18% of female participants and and 7.9% of men admitted to owning six fragrances or more. Participants of the survey said they spend between £51 - £100 on fragrances a year. The most popular scent in the UK voted by female participants in the survey, is Chanel Coco Mademoiselle, with a huge 17% choosing it as their favourite. The most popular scent amongst male participants was Calvin Klein CK One, with 13% of men said it was their favourite. 5% of men said they spent over £500 making themselves smell nice. That's a lot of bottles of scent! 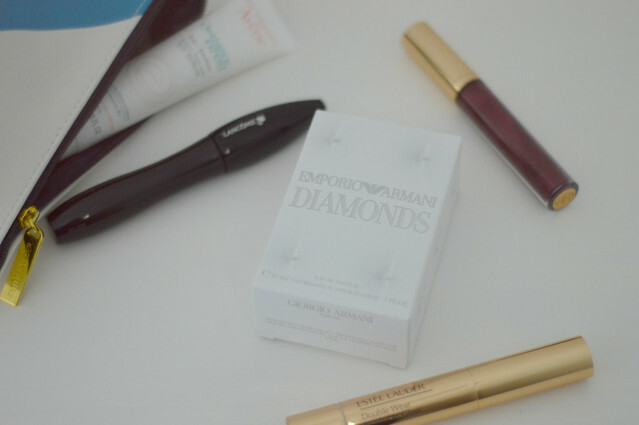 Armani Diamonds is the most popular scent in Cardiff which is the city I work in. I had never tried this scent before receiving some to review because I'm strictly a Classique girl but I have to admit the women in Cardiff know their stuff. I love the scent, it's much more subtle and refreshing than my normal choice and my partner noticed that I was wearing something different and liked it. It's got some rose, lily of the valley, patchouli and freesia with hints of raspberry and vanilla. The scent lasts all of my working day and it's definitely going to be my day time scent now and I'll reserve Classique for evenings and nights out when I want to make more of a statement. 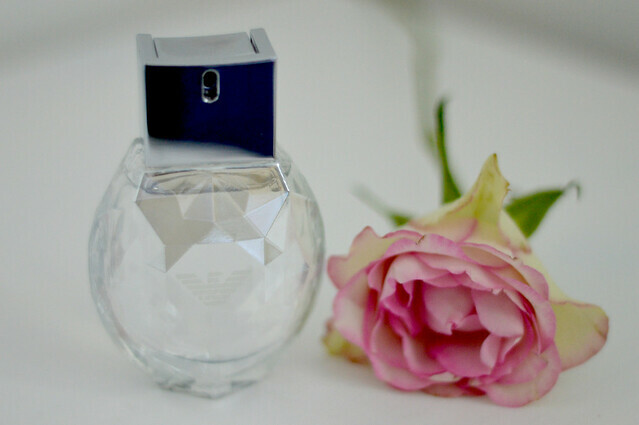 Emporio Armani Diamonds Eau de Parfum Spray 30ml retails for £32.99 at Fragrance Direct (you save about £8 on there). How do you match up to others in your city? What are your favourite scents? 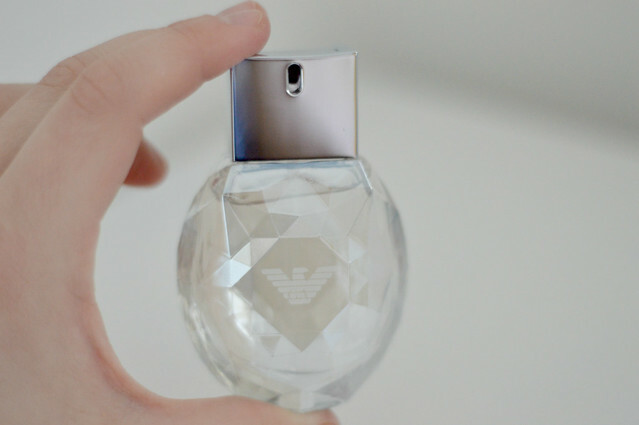 I think the perfume bottle is gorgeous. I really have to try this fragrance i think! Ohh interesting results, I like Coco Mademoiselle too!! Hi Gemma, you should totally join in with TARDIS Tuesday, that'd be really cool! !